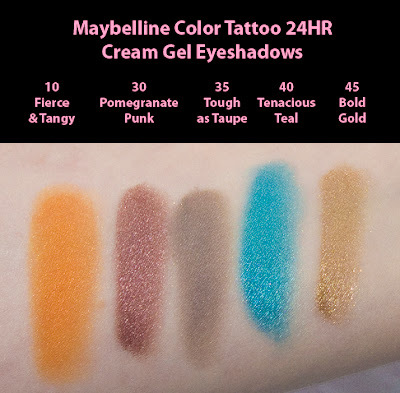 I'm always pleasant surprised to see when Drugstore brands up their game. I bought these a month ago when they were first release with out testers available other then the Tenacious Teal. 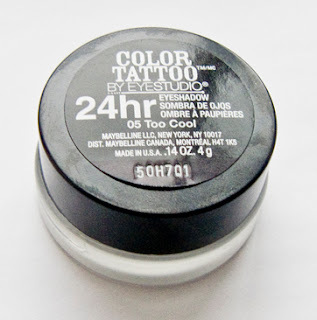 These sell for around $9.99 CAN at most drugstore ( $6.99 at Walmart once they were available). 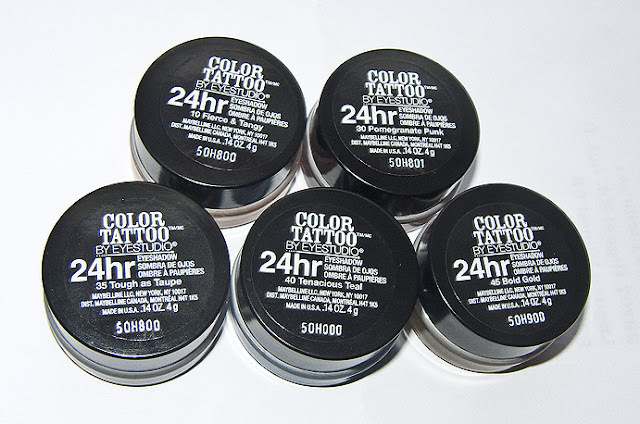 Product: I've only tied the 6 shades so far and all of them has consistent application and colour payoff. 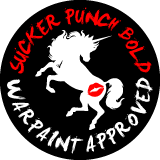 The only one I struggled with was 45 Bold Gold as the shimmer size it larger then the rest and I did have a bit of fall out. The shades are also build-able if you want sheer to more coverage. 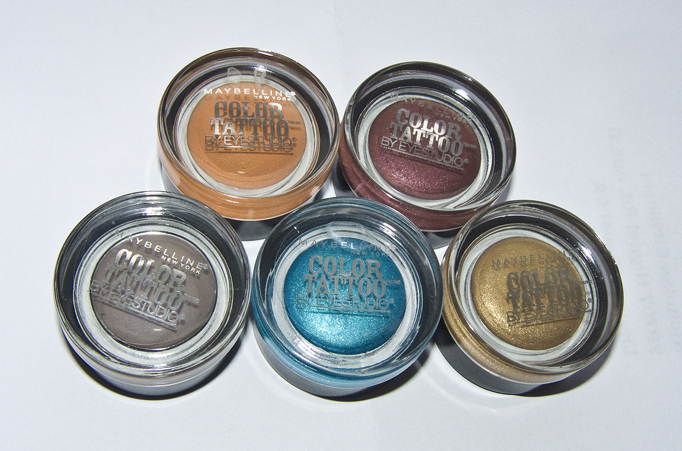 Colour: Excellent vibrant collection, I would love to see more shades put out and a few more matte ones. 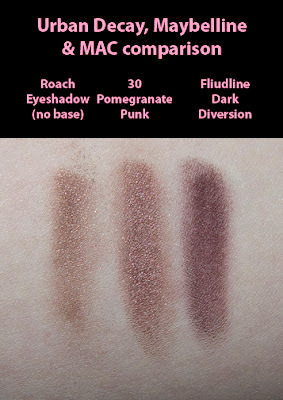 Wear: I never expect a product to stay exactly as they look when you first apply it after 16 hour (a full average day) and there was some fading on these on there own, but it was minimal and the colour was consistently there. 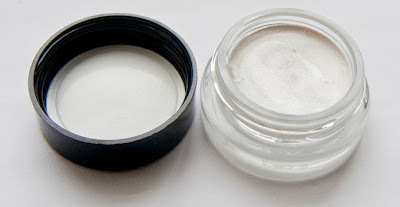 Packaging: They are identical to Benefit's Creaseless Cream Shadow/Liner and Giorgio Armani Eyes to Kill Intense Eyeshadow with the glass jar, plastic black lid and thin white plastic seal on the inside. They are not a sealed as a MAC jar so I'm not sure how long these will stay wet before drying out. Just in case I like to crank the lid on. 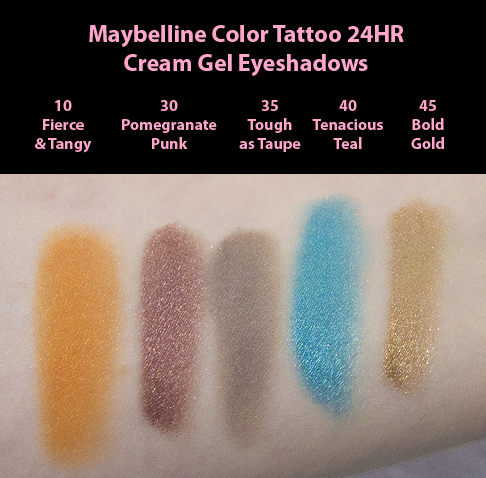 Compare: I've never own a MAC Paint Pot as being so fair the matte shades were to dark for me to bother to use as a base but I have tested the different ones in store and I found them to be slight drying then the Color Tattoos. Benefit Creaseless Cream Shadow/Liner I own one of and although it has a wetter consistency and applies smoothly one the lid but I find it wears off fast then the Tattoo's. 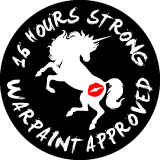 I've given 30 Pomegranate Punk, 40 Tenacious Teal and 45 Bold Gold up for swap as I don't see myself using them that often to warrant keeping them but I look forward to find Edgy Emerald once store have restocked (very much sold out everywhere).